NHL notes: Milan Lucic to the Oilers? The Edmonton Oilers are the reported front-runners to sign free agent forward Milan Lucic. Sportsnet's Gene Principe tweeted that one source said it was 100 per cent certain the 28-year-old would sign with Edmonton on July 1, the first day teams are permitted to sign free agents. However, Boston Bruins beat writer DJ Bean later tweeted the Lucic denied he had any agreement with the team. Under the NHL's collective bargaining agreement, teams and free agents have an "interview" period in the six days leading up to July 1, but are not permitted to negotiate or agree on contracts. 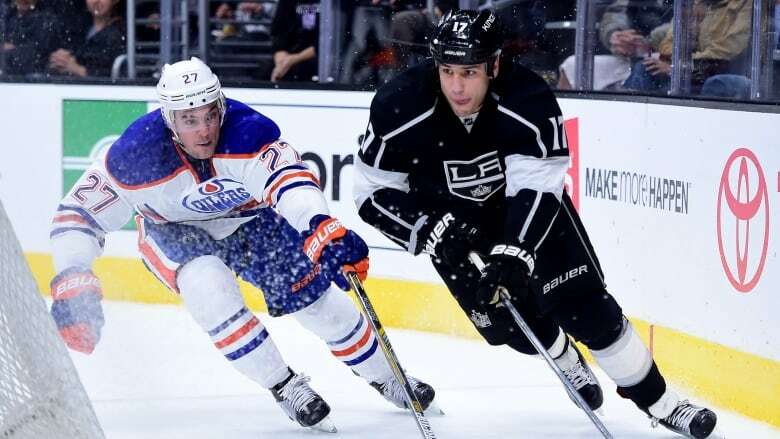 Lucic, who spent last season with the Los Angeles Kings, was in Edmonton Tuesday to meet with Oilers management, after spending Monday in Vancouver to meet with the Canucks. Milan Lucic spent most of yesterday being wooed by the Canucks in his hometown. The Oilers are the front-runners though. Lucic is one of the top players available in what is considered a generally shallow free-agent pool, behind Tampa captain Steve Stamkos. the 6-foot-3, 233-pound Lucic played 81 games with the Kings, scoring 20 goals and adding 35 assists. A person with direct knowledge of the decision has confirmed to The Associated Press that the Colorado Avalanche have placed veteran defenceman Brad Stuart on waivers with the intention of buying out the final year of his contract. Stuart is a 16-year NHL veteran, who is set to make $3.6 million US next season in the final year of his two-year, $7.2 million contract. A nagging back injury limited Stuart to appearing in just six games last season. Stuart will become an unrestricted free agent if he goes unclaimed on Wednesday.